The World Bank Group Managing Director and Chief Operating Officer, Sri Mulyani Indrawati, will spend her first official 3-day visit in Tanzania meeting with top government officials including Tanzania President Jakaya Kikwete, Zanzibar President Ali Mohammed Shein, and Tanzania Prime Minister Mizengo Pinda and will also visit some of the 23 projects that have been financed by the World Bank Group. “The visit of Sri Mulyani Indrawati is an opportunity to deepen our engagement to help Tanzania address its most pressing needs,” said Philippe Dongier, the Country Director for Tanzania, Burundi and Uganda in a statement released by the World Bank. According to Mr. Dongier, Tanzania has maintained a strong growth rate over the past decade and has made considerable progress in addressing critical development needs, but the current challenge will be to make the growth more inclusive while also reducing poverty. 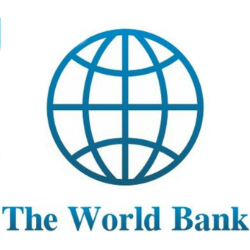 To date, the World Bank has committed a total of USD 3 billion for projects in a variety of sectors including transport, energy, urban services, education and agriculture as well as an additional USD 221 million in financing for six regional, multi-country projects.